Save your money math lesson for Christmas time because we have these great Christmas Money Math Printables for you! 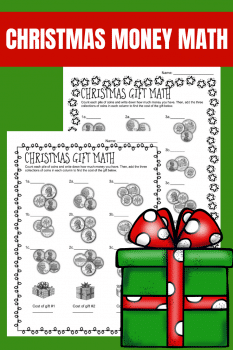 From Heather at Only Passionate Curiosity, you can print out these 2 Christmas Money Math pages for your child to practice counting coins. And for an extra challenge, they need to add them together to find the Christmas present price at the bottom of the page! Get the Christmas Money Math Printables here!